Last weekend my sister and her beau treated us to an Asian feast. It was my first ever sushi hand roll party and all I can say is that I’m hooked! I’m not sure what part of the evening topped the other—all of us in the kitchen slicing, dicing and gabbing away or the rolling and eating part! Gotta love a dude with skills in the kitchen. 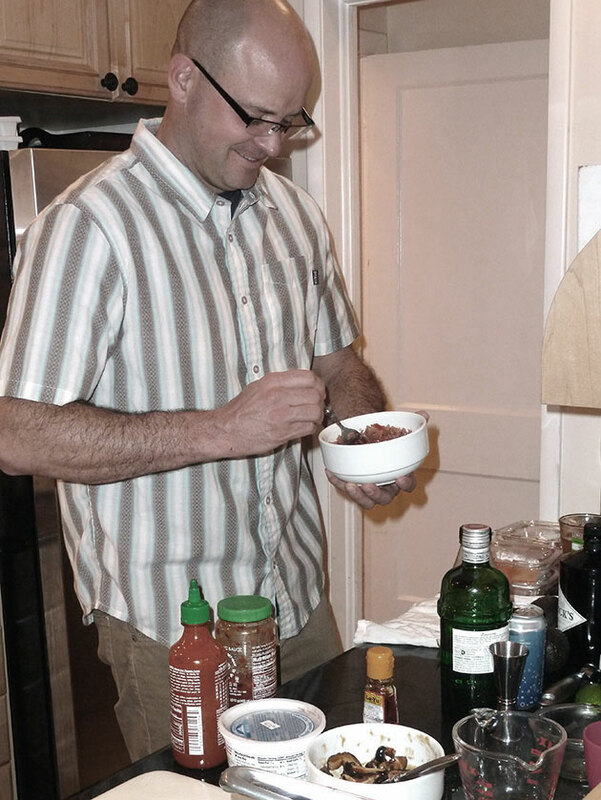 Here’s the beau mixing up some spicy tuna. 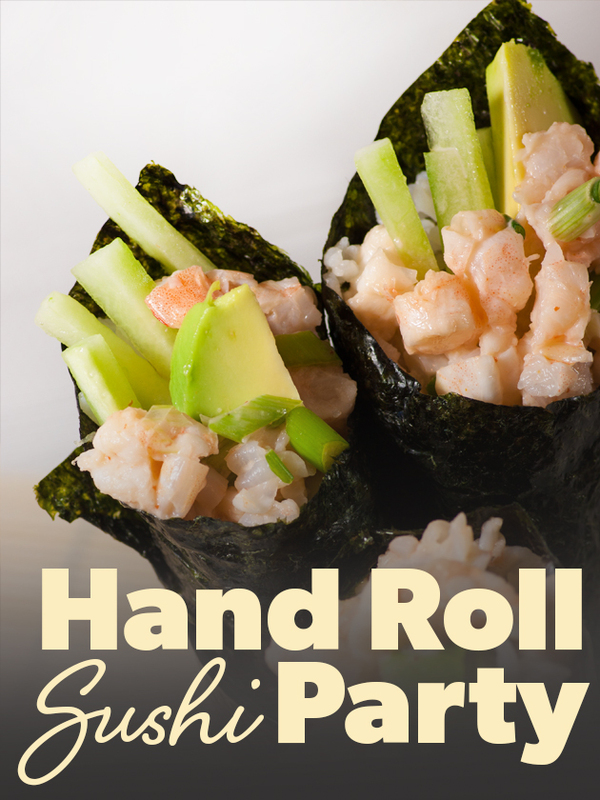 If you’re looking for an easy and engaging dinner party idea, look no further, throw a sushi hand roll party! Just toss some sushi rice, offer a few starters, set out some fillings, and leave the rest to your guests. Marisa over at In the Kitchen with a Southern Sushi Chef has more great tips for throwing a sushi hand roll party including a shopping list for a party of 10. Stay tuned for a tasty spicy shrimp filling and a gluten-free (and eel-free) eel sauce—that sweet and tasty brown sauce I liberally dip sushi in. Gently fluff 4 cups warm cooked sushi grade rice with 1/4 cup naturally gluten-free Marukan Seasoned Rice Vinegar (or make your own, here is my recipe). Seasoning the rice is optional. Cut sheets of nori in half. Set out one or a couple of communal rice bowls. Arrange fillings on a platter and let guests roll their own hand rolls. Here is a how-to video so that you can give your guests some pointers. Have fun! We did!!! This is a great! 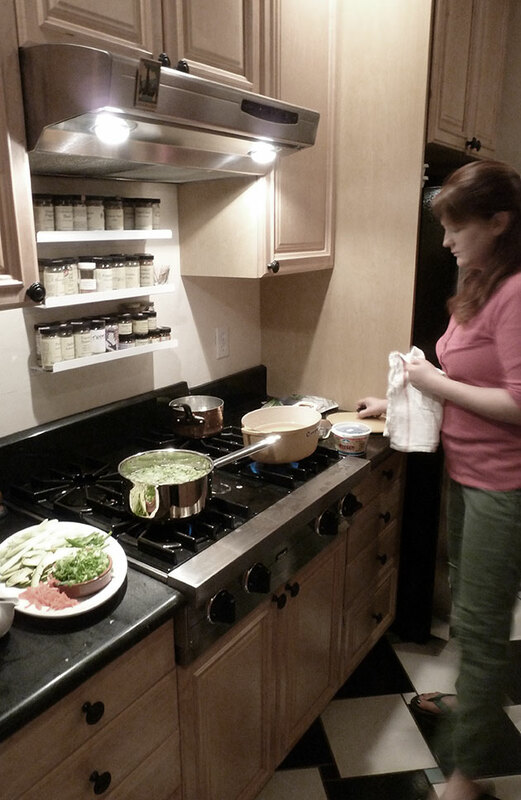 concept: to have this sense of togetherness: "… I'm not sure what part of the evening topped the other—all of us in the kitchen slicing, dicing and gabbing away or the rolling and eating part!" makes me feel happy, for us all! Thank you for the post. Great pictures! Awesome post Lex! I agree that the family togetherness was a big highlight of the handroll sushi party – but the excellent food took a very close second. XOXO, your sis.